Here’s a couple of pictures I took up on Thursday Island last month. I just loved the idea that the floats suspended from these trees were hanging there for no other reason than that they looked good. And yeh, they looked good. I was reminded of the architect Kevin O’Brien’s installation from the Brisbane South Bank, Torres Strait Island show in 2011, his installation of floats representing his family tree over generations was memorable – place, home, family, contemporary interpretation. Something that so many of the 80% of islanders who have migrated south could identify with. Here’s O’Brien’s artist’s statement from that piece. 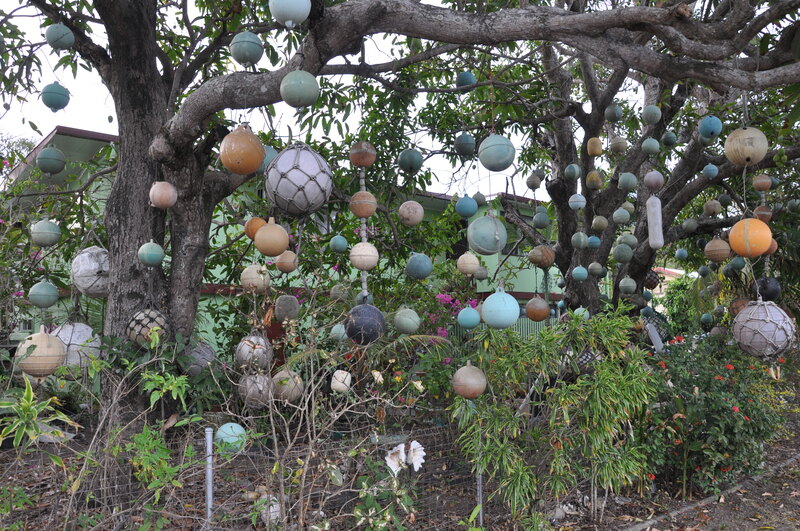 “These suspended shipping floats symbolise the artist’s grandfather’s home on Keriri (Hammond Island), where the trees are decorated with floats of all colours that have washed up on the beach. 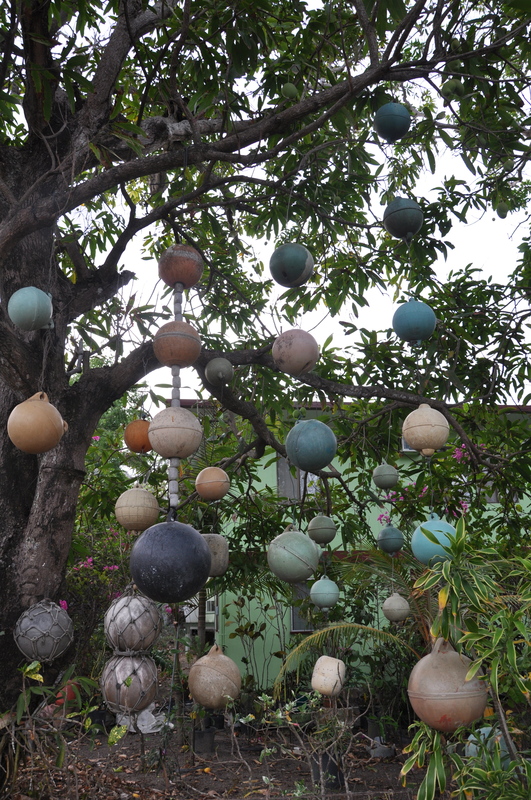 Across the entire Torres Strait, these floats, often from Asia, wash ashore and become decorative objects, strung from trees and hung from island shacks. Their vivid colours, and sometimes reflective glass surfaces, play against the lush tropical setting, while their re-use reflects the innovative character of island life. Previous Post Rabbits in Australia up and running – bounding – hopping?